Cystic fibrosis therapy consists of strategies aimed at continually keeping air passages as free of mucus as possible, keeping lung infections at bay, and improving digestion and nutrient absorption to ensure the best quality of life for a patient. Cystic fibrosis is an incurable genetic condition. The problem lies in the defective gene on the human chromosome 7 that encodes instructions for a specific protein (called the cystic fibrosis transmembrane conductance regulator or CFTR) that regulates the passage of salt in and out of the cells of the body’s exocrine glands. The defective gene changes the structure of CFTR and causes it to produce mucus that is too thick and too abundant for the body to excrete. The glitch in the protein structure misses only one amino acid from the protein structure of 1,480 amino acids, but such a tiny error leads to serious problems in the functioning of the respiratory system, sweat glands, pancreas and digestive system – tick, abnormal mucus obstructs the airways, damages tissues, blocks the release of pancreatic enzymes upsetting digestion and absorption of nutrients leading to malnutrition, creates a favorable environment for bacterial infections to set in and become chronic - all resulting in a weakened immune system. Over the last decades, with the advances in medicine and understanding of this condition, cystic fibrosis therapy has been able to extend the life expectancy from childhood to about 30 years in people affected by this gene abnormality. While there exist specific drugs and therapies to thin and dislodge mucus secretions, prescription digestive and pancreatic enzymes to normalize digestion, anti-inflammatory drugs, antibiotics that all help relieve the symptoms and manage infections, researchers are constantly looking into other ways of managing this disease. And optimization of glutathione levels is one of them. Every second of the day human lungs come in contact with bacteria, pathogens and chemical substances that are inhaled, not to mention the oxyradical production through the continuous contact with oxygen and the natural neutrophil activity as a result of immune response in the lungs. Glutathione is the major antioxidant defense system in the epithelial lining fluid of the lung and it is the main line of defense against oxidative damage in this vulnerable area. It is well known that glutathione levels and antioxidants are depleted by ongoing oxidative stress caused by inflammation. And lung inflammation is a central issue in cystic fibrosis – continual low-grade inflammation creates a favorable environment for lung infections to set in which in turn lead to even more severe inflammation, and the glutathione levels are depleted further and not only in the lungs but the whole body, eventually leading to overall weakening of the immune system. Lower glutathione levels in the airway surface liquid of CF patients are observed early on in life compared to healthy people. (D'Orazio M). Another reason for glutathione loss in the lungs of CF patients is that the CFTR protein is responsible for glutathione transport in the lungs, and the defective CFTR impairs this transport, thus obstructing the redox pathways. (Randomized, single blind, controlled trial of inhaled glutathione vs placebo in patients with cystic fibrosis. Calabrese C, Tosco A. J Cyst Fibros. 2015 Mar; 14(2):203-10). While clinically stable young children with cystic fibrosis seem to have erythrocyte glutathione levels (measure of body tissue glutathione) not much lower than those of healthy children (Bernardi DM), the most significant loss of glutathione occurs with the advancement of the disease. Research indicates that the earlier the glutathione boosting therapy can begin the easier it may be to control lung infections and better the life expectancy may be. The following cystic fibrosis therapy options have already been in use: inhaled glutathione, inhaled n-acetyl-cysteine (NAC) as a drug Mucomyst for example, and glutathione ethyl esters. The drawback of these therapies is that only epithelial lining of lungs seems to be affected, but not the glutathione levels in the body tissues due to rapid breakdown of glutathione molecules, requiring frequent administration of glutathione. The enzyme GGT which is responsible for breakdown of circulating glutathione is upregulated in cystic fibrosis patients and leads to excessive breakdown of glutathione. Detailed analysis of some of the glutathione boosting strategies can be accessed in a recent review (Galli F et al.) here. Oral forms of glutathione and oral NAC are used too; however, the research results of this type of cystic fibrosis therapy are inconsistent due to poor bioavailability of orals forms in CF patients, possibly due to malabsorption. One recent study with oral l-glutathione showed an increase in pediatric patients’ growth rates and weight, and improved gut inflammation after 6 months of supplementation at a daily dose of 65 mg per kg of weight. Observation of any changes in tissue glutathione levels was not included into this study. (Oral reduced L-glutathione improves growth in pediatric cystic fibrosis patients. Visca A, Bishop CT et al. J Pediatr Gastroenterol Nutr. 2015 Jun;60(6):802-10). Another glutathione augmenting strategy, not mentioned in the above review, is support of natural glutathione production through supplying of the body with glutathione precursors, so that the cells can have raw material in abundance to make their own glutathione. NAC is one of such options, but there is another one – undenatured whey protein that supplies not only cysteine, but all precursor amino acids in highly bioavailable and easily digestible form, plus all other amino acids since whey is a complete protein. The use of undenatured whey protein in cystic fibrosis has been researched by Dr. Lands, director of the cystic fibrosis clinic at McGill University (Montreal, Canada). He investigated the effects of an undenatured whey protein isolate on lung glutathione status in young adult patients compared to a casein placebo. The dose was 10 g twice daily for 3 months. At the end of the trial the supplemented group showed a remarkable 46.6% increase in peripheral lymphocyte glutathione which is a marker of lung glutathione. The research team concluded that dietary supplementation with the whey-based glutathione precursors can increase glutathione levels in cystic fibrosis and that “this nutritional approach may be useful in maintaining optimal levels of GSH and counteract the deleterious effects of oxidative stress in the lung in cystic fibrosis.” (Improved glutathione status in young adult patients with cystic fibrosis supplemented with whey protein. Lands LC, Grey V, Mohammed SR, et al. Journal of Cystic Fibrosis, Vol. 2, Issue 4, Dec. 2003). Nutritional cystic fibrosis therapy should also include vitamin and mineral supplementation that supports glutathione production and functioning of critical antioxidant and detoxifying glutathione enzymes, assisting in tissue repair and immune function: vitamins C, E, B1, B2, B6, B12, folate, minerals magnesium, zinc, and selenium. More information on glutathione cofactors can be found here. Keep in mind that people with cystic fibrosis may require as much as 50% more of nutrients than normal due to impaired absorption. Including foods with glutathione into one's diet is important as well. Although such foods do not raise glutathione levels, they do provide the nutrients needed for GSH synthesis, and some of them stimulate glutathione production. Such expectorant herbs as cayenne, garlic, onion, hyssop, horehound may be helpful in controlling congestion. Raw garlic is also known to stimulate glutathione production. Ginger, cayenne, peppermint can aid in reducing inflammation and improving digestion. Live probiotic cultures, either from a supplement or from homemade water kefir, are beneficial for immune system and digestive function. Milk kefir is better to be avoided due to mucous producing qualities of dairy in general. Other supplements for cystic fibrosis therapy include pancreatin for protein digestion; proteolytic enzymes that help with digestion and thin mucous lung secretions; essential fatty acids to help relieve inflammation. As always, consult your treating physician before taking any supplements or changing your regimen! 1. 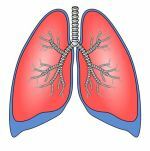 Oxidative stress in cystic fibrosis lung disease: an early event, but worth targeting? Hector A, Griese M et al. Eur Respir J. 2014 Jul;44(1):17-9. 2. Oxidative stress and antioxidant therapy in cystic fibrosis. Galli F, Battistoni A et al. Biochim Biophys Acta. 2012 May;1822(5):690-713. 3. The impact of cystic fibrosis on the immunologic profile of pediatric patients. Bernardi DM et al. J Pediatr (Rio J). 2013 Jan-Feb;89(1):40-7. 4. Extracellular glutathione decreases the ability of Burkholderia cenocepacia to penetrate into epithelial cells and to induce an inflammatory response. D'Orazio M et al. PLoS One. 2012;7(10):e47550. 7. Antioxidant supplementation for lung disease in cystic fibrosis. Ciofu O et al. Cochrane Database Syst Rev. 2014 Aug 7;8:CD007020. 8. Cystic Fibrosis-Related Oxidative Stress and Intestinal Lipid Disorders. Kleme ML, Levy E. Antioxid Redox Signal. 2015 Mar 1; 22(7): 614–631. 9. "Glutathione. Your Key To Health" by Dr. Jimmy Gutman. 10. "Prescription For Nutritional Healing" by Phyllis A. Balch, CNC. Cysteine - the limiting factor in glutathione production.